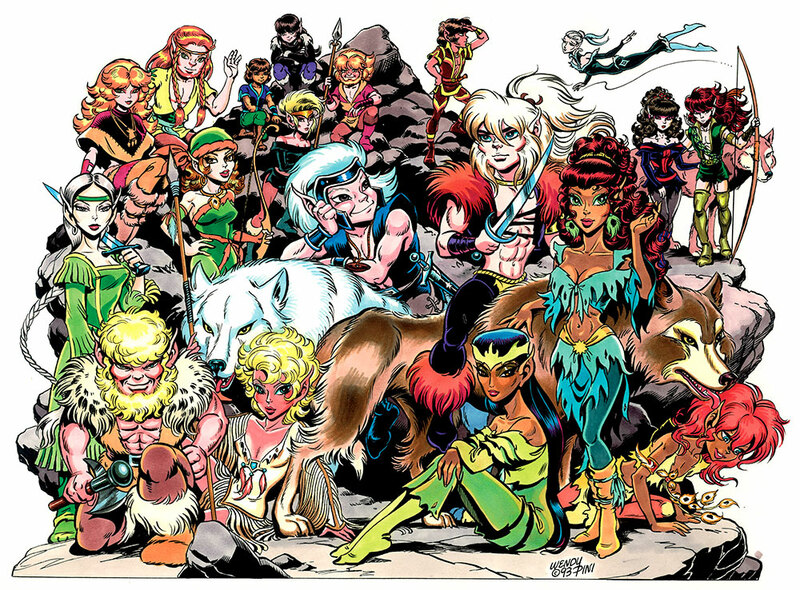 One of the great things about Elfquest is its wide variety of fascinating players. 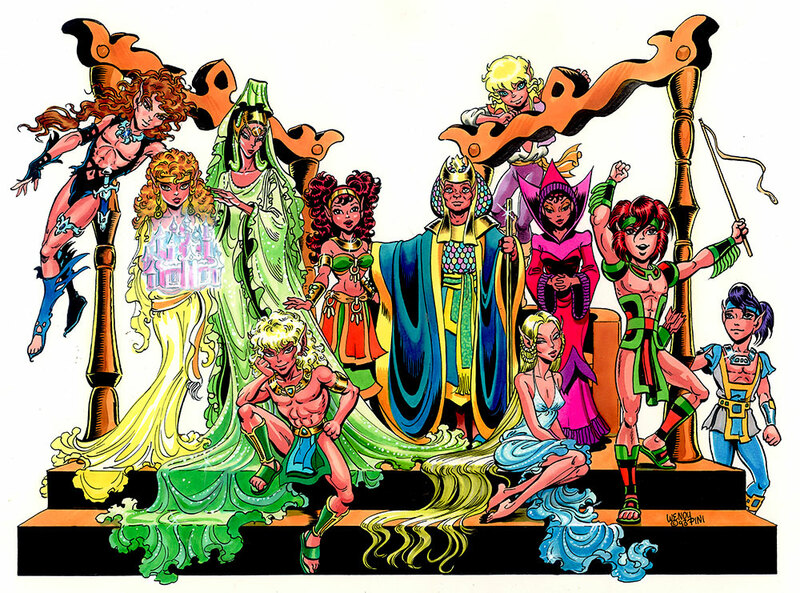 Each individual possesses unique characteristics, from characters who have matured and grown since the beginning of the tale, to the young and the new who have much more recently joined the cast. 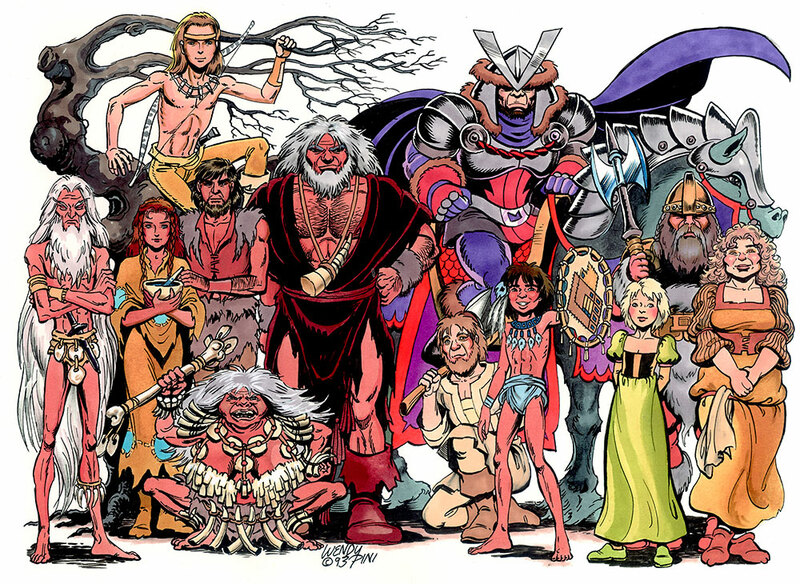 Each of the elfin tribes have touched one another, even if only in the most fleeting of ways. Through his ongoing quest Cutter, Kinseeker and Blood of Ten Chiefs, has discovered many scattered children of the High Ones. The Wolfriders have encountered the desert-dwelling Sun Folk, the effete and imperious Gliders, and the cold and war-weary Go-Backs. More recently, they have discovered the sea-faring Wavedancers, and the most hidden of the hidden, the Rootless Ones. 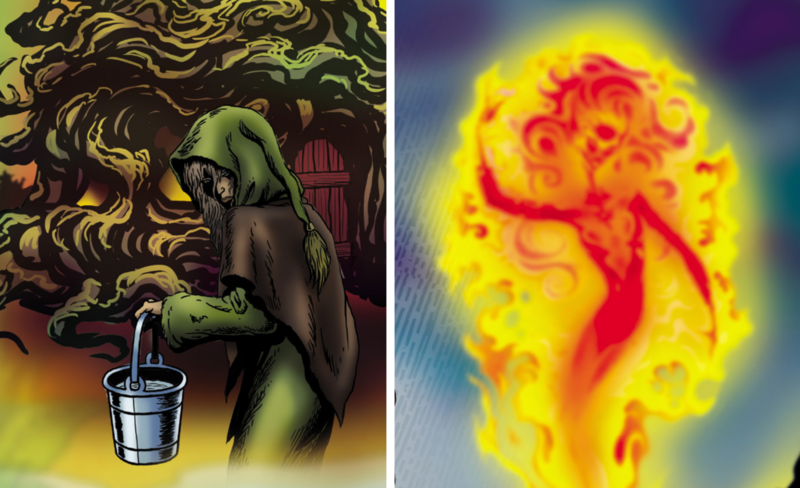 The World of Two Moons is also home to the tunnel-digging Trolls and the effervescent Preservers, themselves descended from the servants and companions of the Firstcomers, ethereal alien visitors who evolved into the elves. And finally, there is Abode’s indigenous population, the humans, both worshipful and hostile toward those who will one day become the legends of Abode. Simply click on each group’s image to access the characters within. 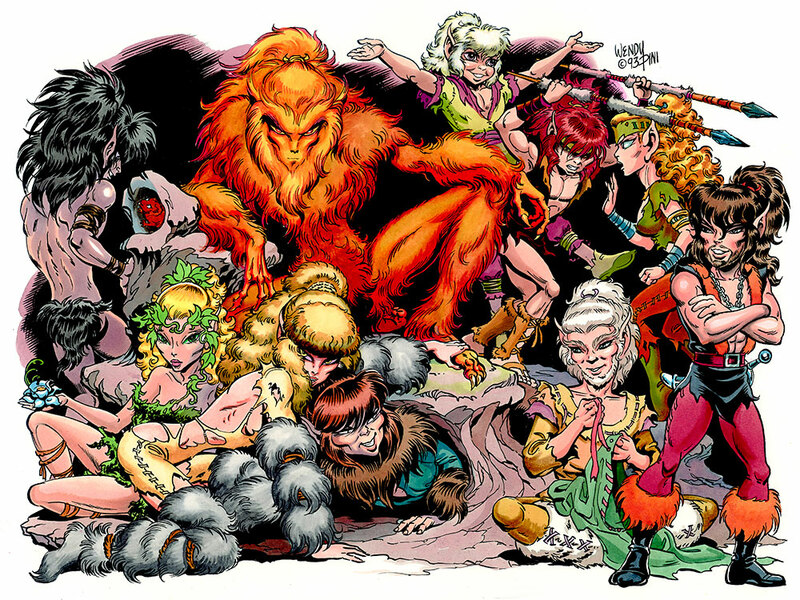 The Wolfriders are the main characters of Elfquest, a shy and secretive tribe of forest dwellers who have allied themselves with the wolves of the World of Two Moons. The Sun Folk are a secluded, peaceful community of farmers who settled ages ago in the desert oasis of Sorrow’s End. 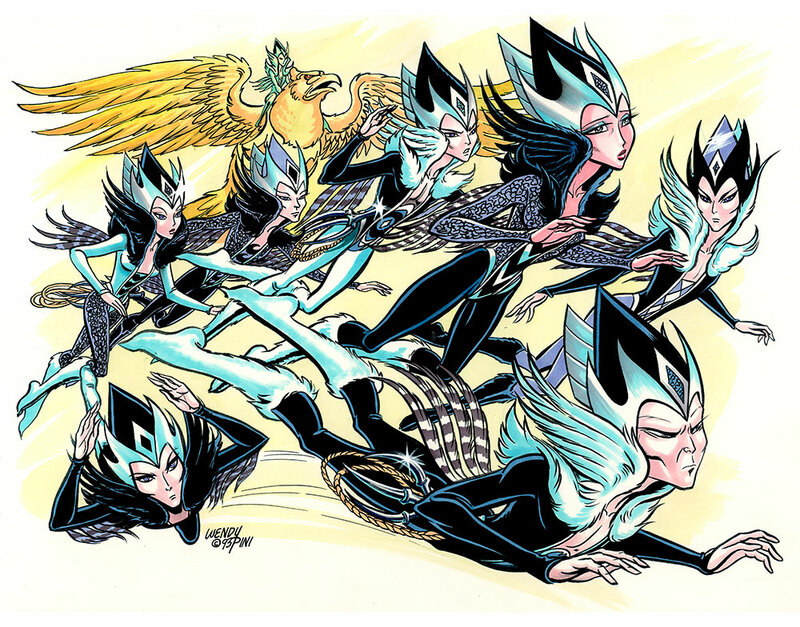 A tribe of elves from the Frozen Mountains of the north, the rough, blunt Go-Backs originally set out to take the Palace of the High Ones back by force. 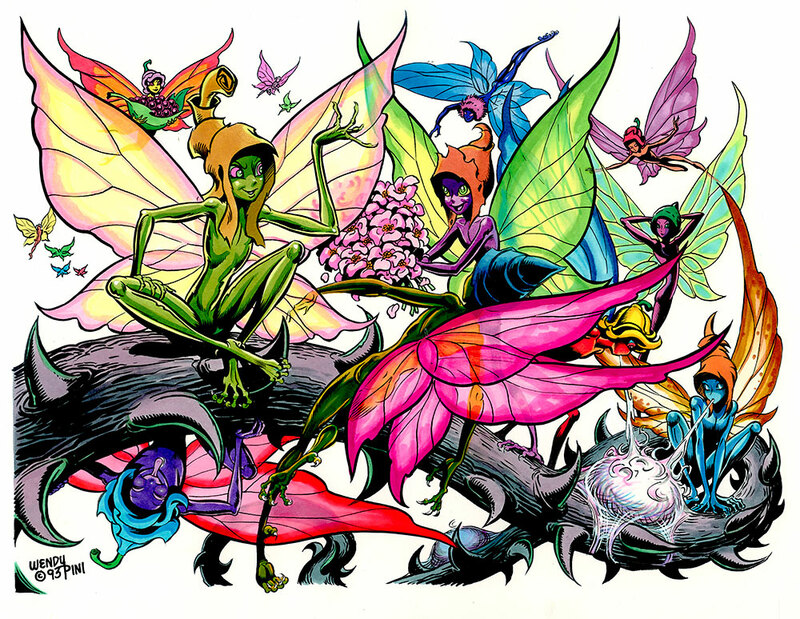 A small clique of the High Ones’ firstborn, the Gliders locked themselves away from the world in the labyrinthine caverns within Blue Mountain. Adapted to life beneath the ocean waves, the WaveDancers made a place for themselves far from the reach of the ever-expanding encroachments of humans. 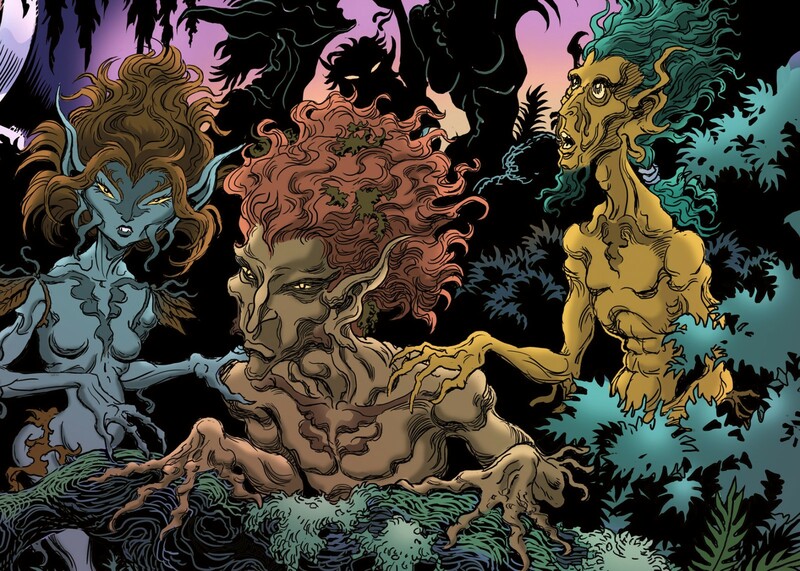 The Rootless Ones are the most recently discovered, and most hidden of hidden elves on the World of Two Moons. The Palace Dwellers were born on the World of Two Moons but have returned to their otherworldly ancestral home, the Palace of the High Ones, to rediscover their ancient heritage. 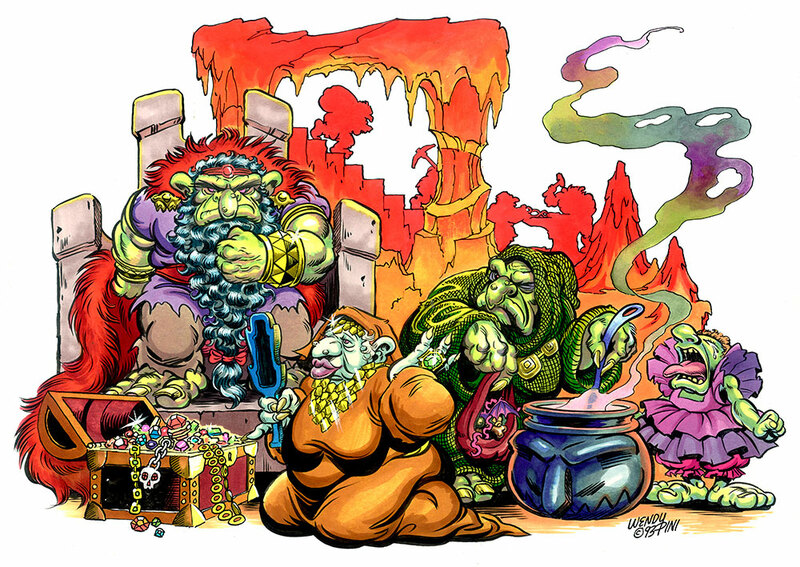 The Trolls arrived on The World of Two Moons as minions to the elves; they are creative, industrious and not terribly friendly toward their erstwhile masters. These spritely, impish creatures arrived with the Firstcomers and take their task – to always protect the elves – very seriously. Infinitely varied in their manner and outlook, prejudices and compassions, the humans on this world are much like those on our own. 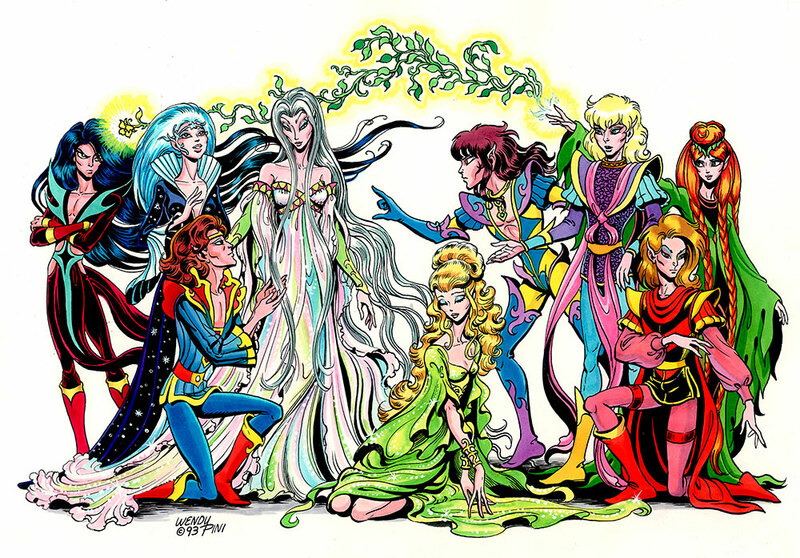 When elves die, their spirits are drawn to the Palace of the High Ones. Unique among the sojourners, only Wolfrider souls may choose where they go after death. With the blood of wolves in their veins, these are the Wolfriders’ wildly individual leaders of generations past. Many of them slaughtered by savage humans when they arrived on the World of Two Moons, these delicate travelers scattered to the four winds to become the elves of today. 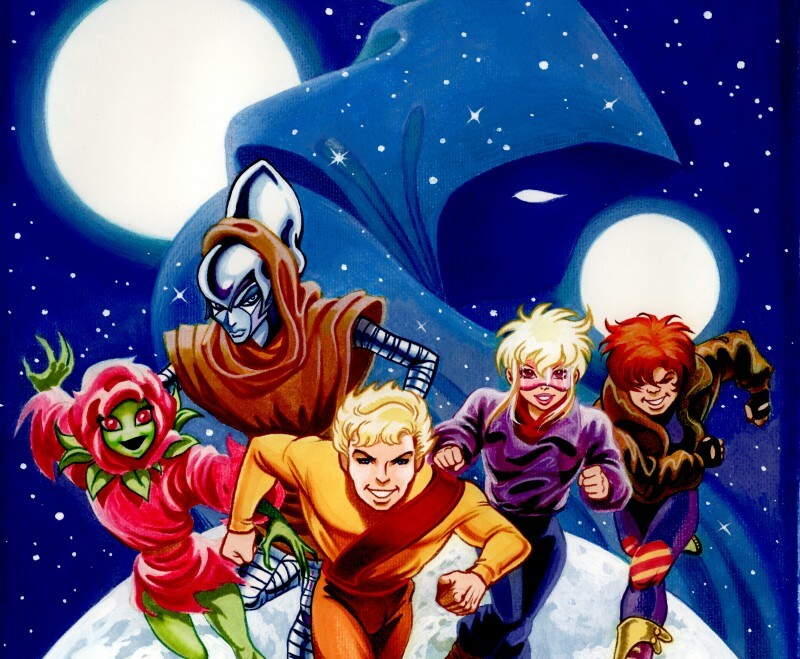 In the future, the World of Two Moons is called Abode and is the home-base for the rollicking interplanetary adventures of the Rebels, Jink, the alien Neverending, and a host of other characters. 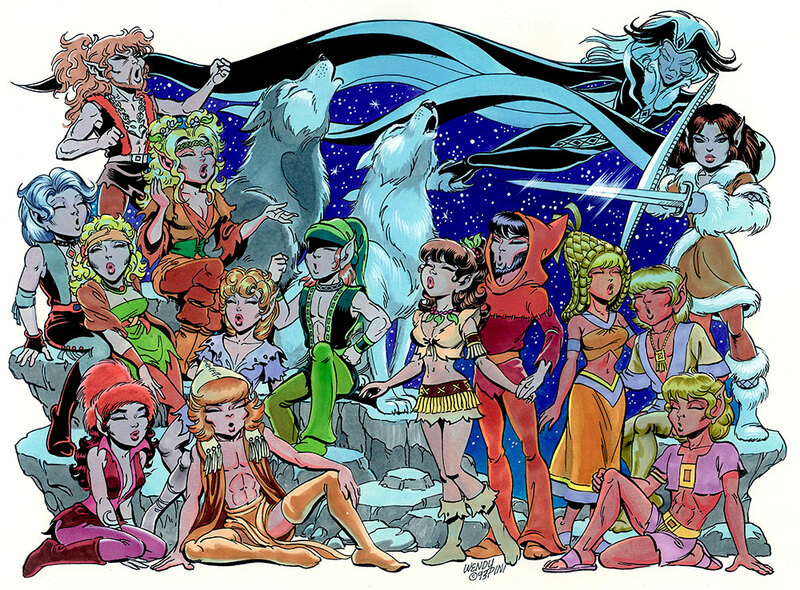 In addition to all of the above, Elfquest is populated with hundreds of other characters, some major, some minor, and many of whom we know nothing more than mysterious whispers. I’m trying to figure out where Fire-eyes fits in with all of the tribes. I haven’t read the conclusion yet, but he must have returned to the rest of the elves, right? I am eager to see the tribe he makes. Wendy Pini confirmed that “Fire-Eye” is a non-canonical “what-if” tale. 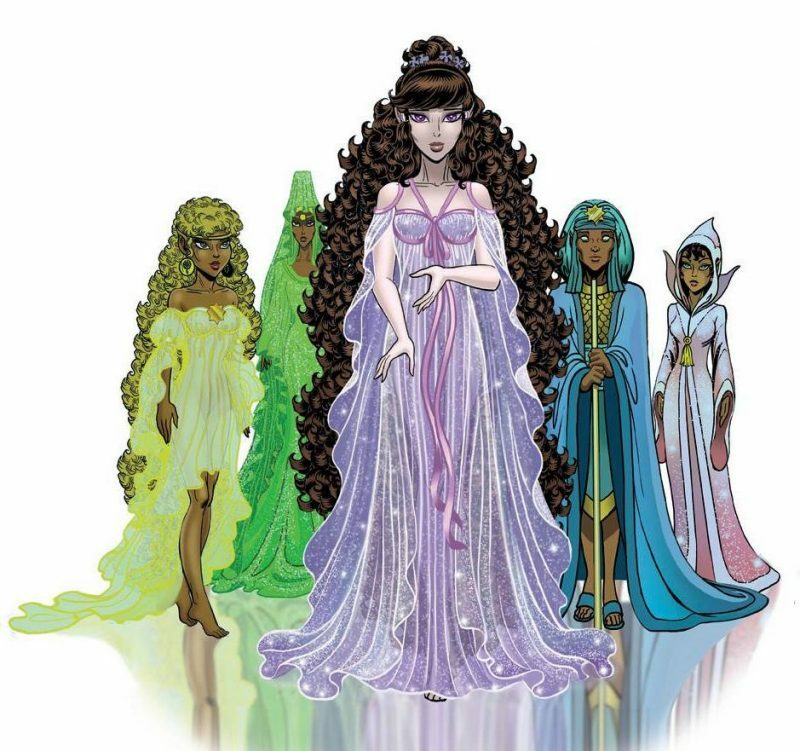 That said, some elements of the New Blood Forevergreen story arc are canon, and have bearing on the latest events in Final Quest.